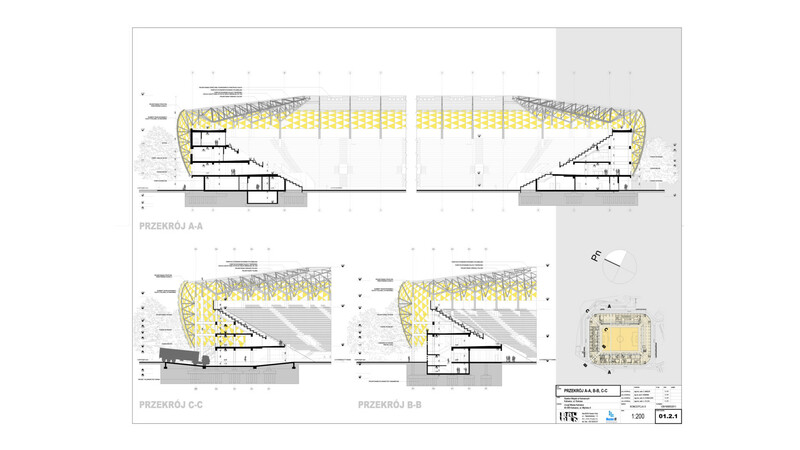 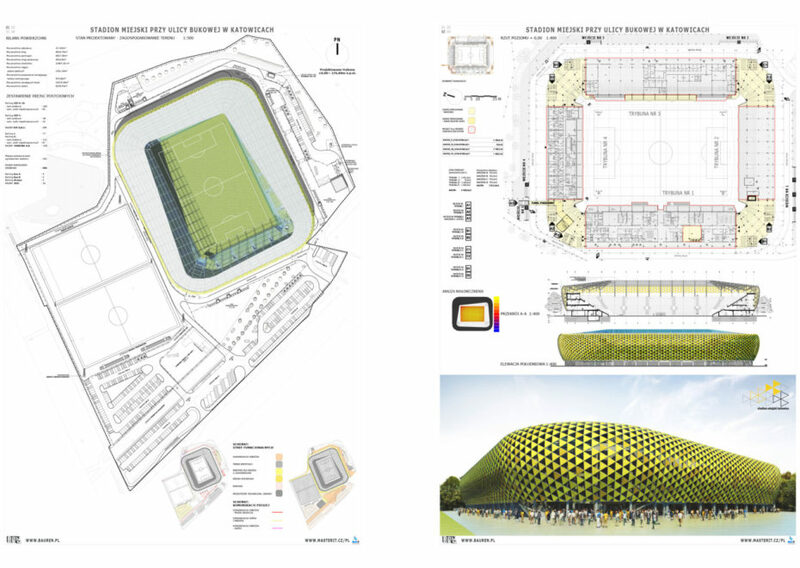 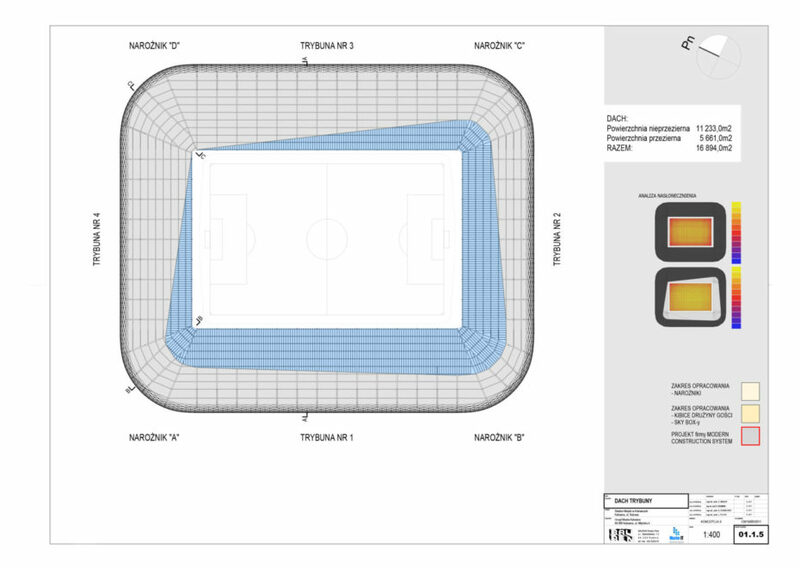 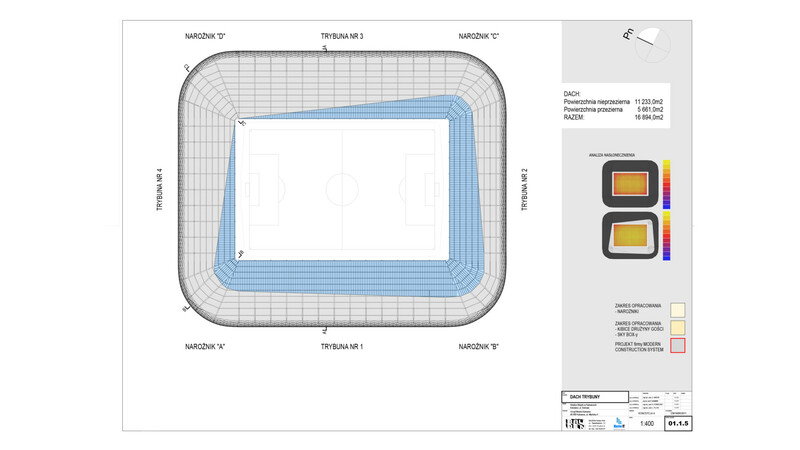 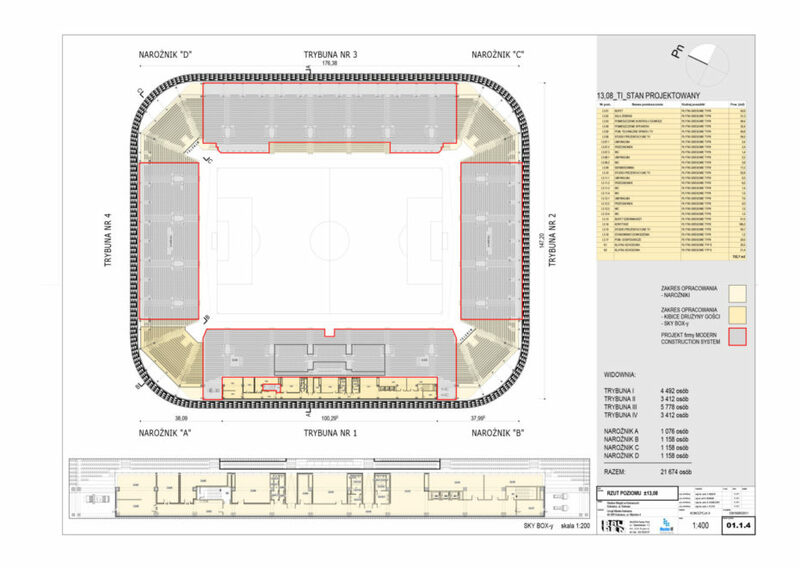 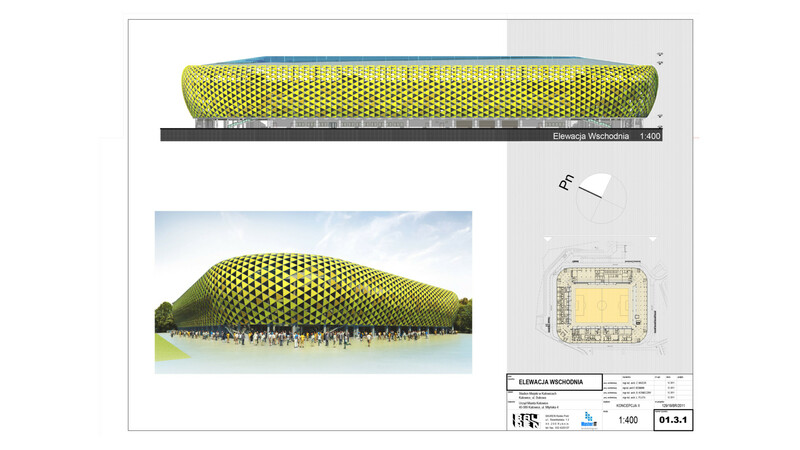 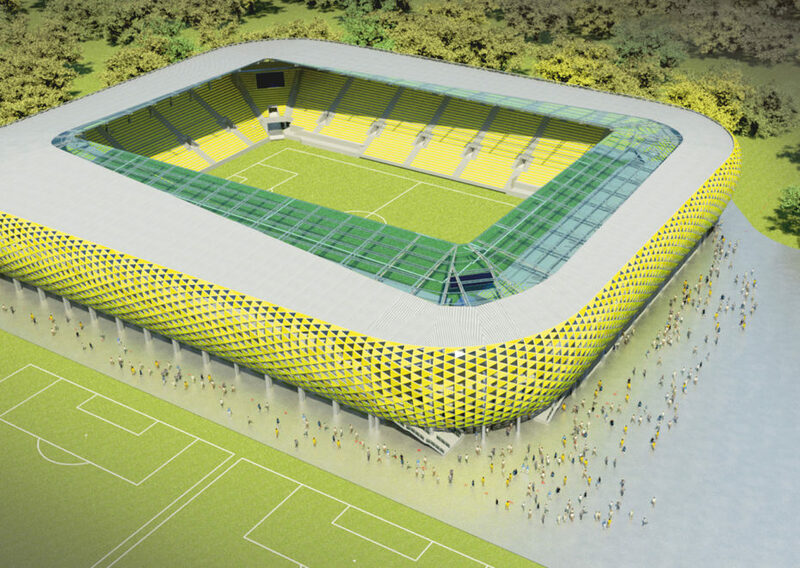 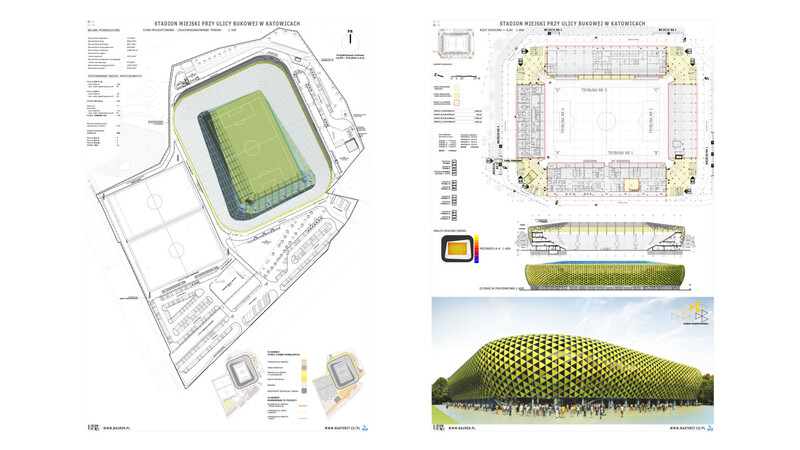 This property will meet all of the parameters of a category III stadium according to the Polish Football Association and category IV by the UEFA guidelines of 2010. 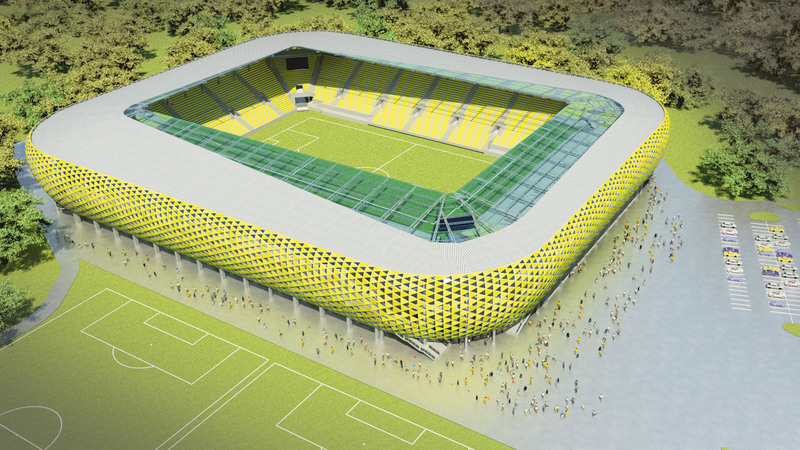 The stadium has been designed using cutting edge spatial construction techniques. 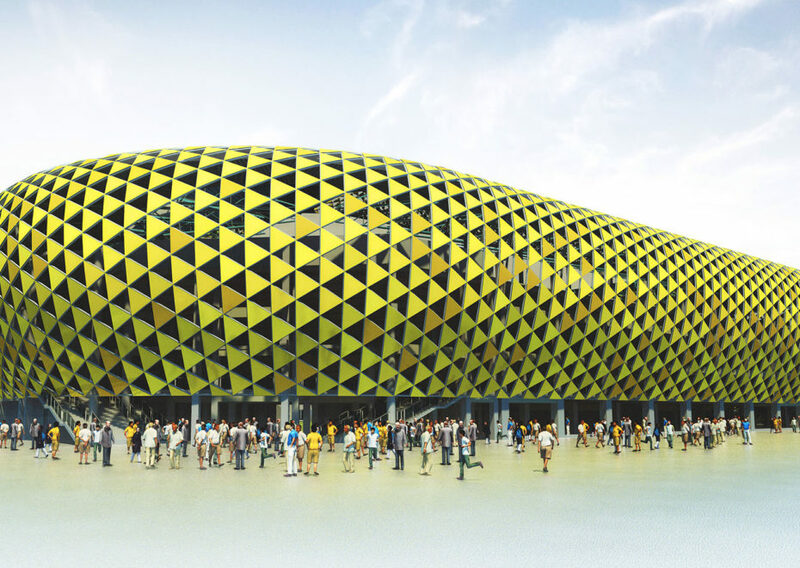 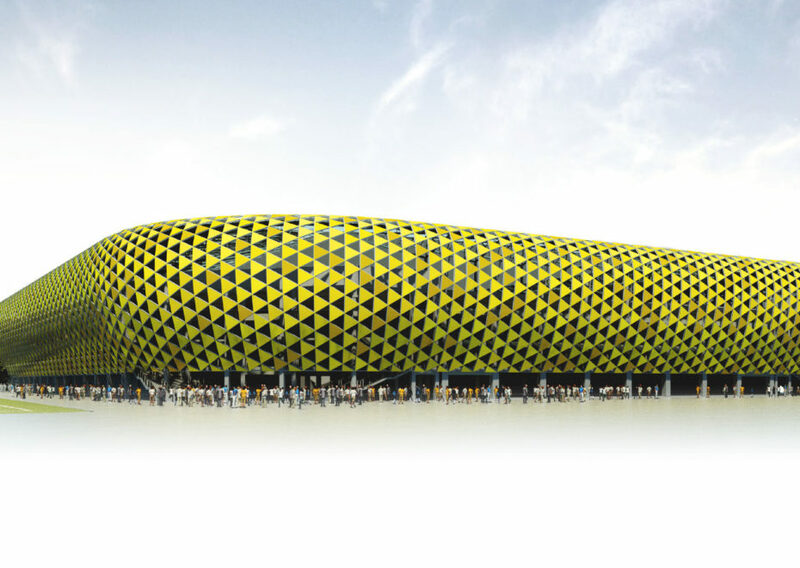 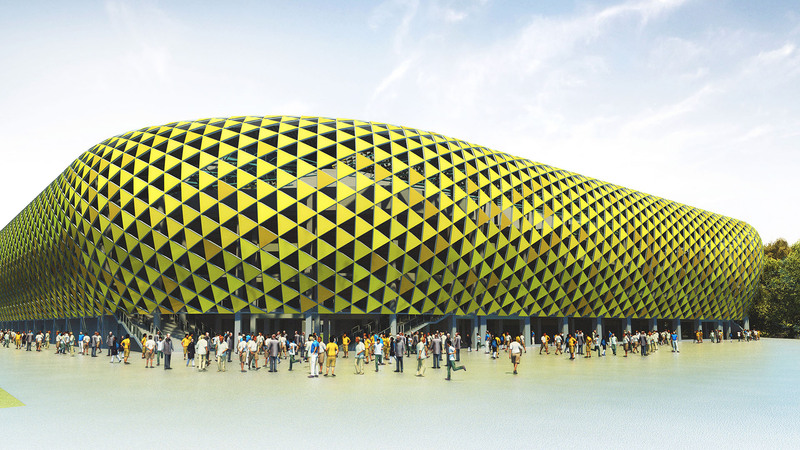 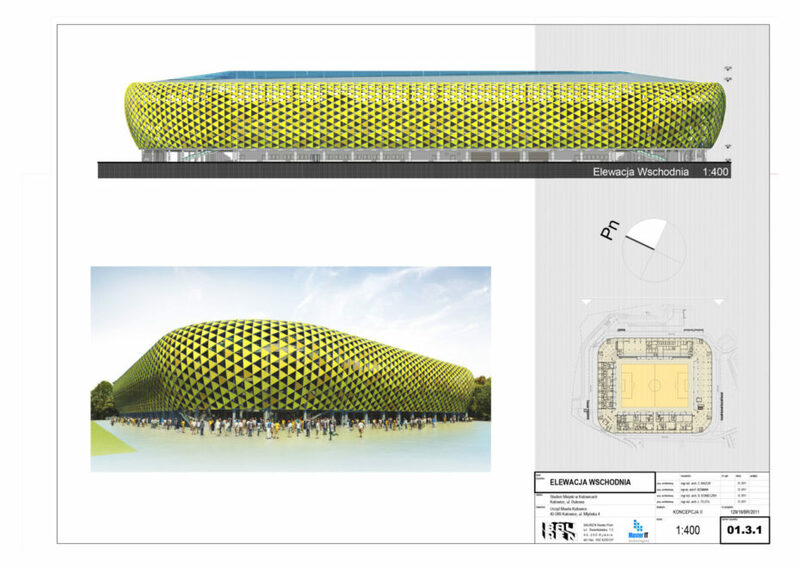 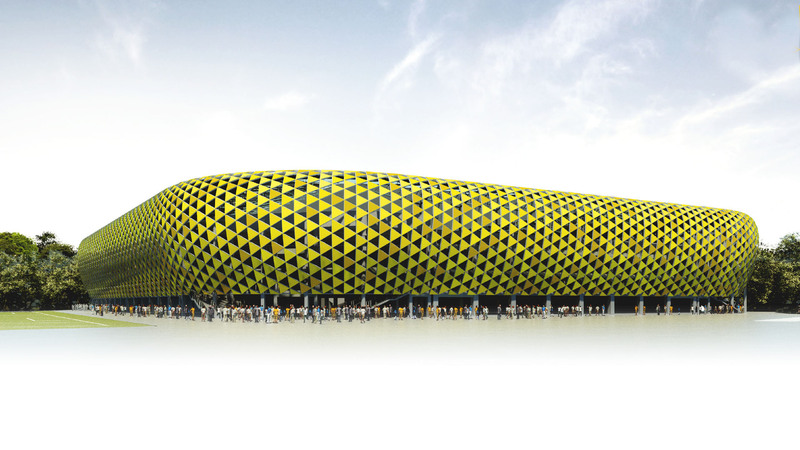 This can be seen in the partially transparent, lattice of triangular yellow elements which form the façade. 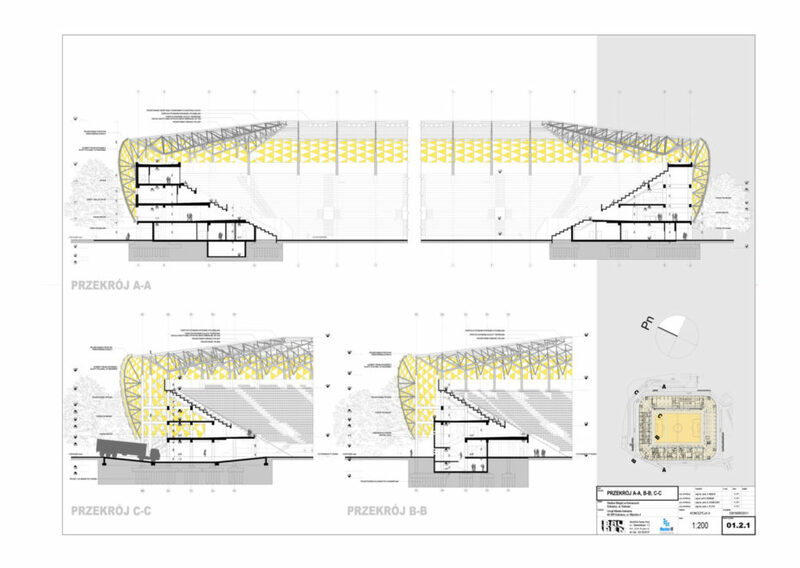 In addition the stands are sheltered from the weather and sun and provide enough clearance to allow for the optimal line of sight from all seats. 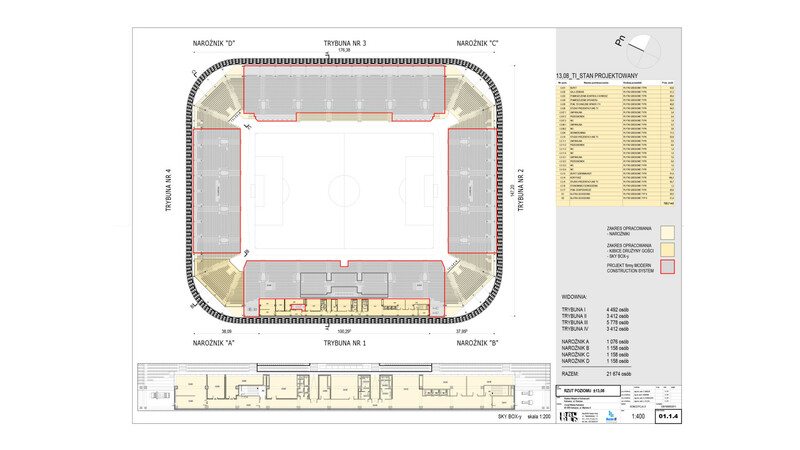 There are several functional zones: areas for athletes, spectators, a VIP area, space for the media, security services, medical services, conference areas, offices and catering services.